The NetEngine40E series universal service router (NE40E) is a high-end network product provided by Huawei Technologies Co., Ltd. NE40Es are usually deployed at the edges of Enterprise networks, Campus Aggregation Network, IDC network and Interconnection networks between Enterprise Campuses. The NE20E, NE40E, and NE5000E together provide a complete, layered IP network solution. The NE40E can be flexibly deployed at the edge or core of IP or MPLS networks, simplifying network structure. With its ability to provide an extensive range of services and reliable service quality, the NE40E is driving IP and MPLS bearer networks to develop greater broadband capacity and to become more secure, more intelligent, and more service oriented. Based on distributed hardware forwarding and non-blocking switching technologies of the CLOS distributed switching architecture, the NE40E features line-rate forwarding capability, a well designed Quality of Service (QoS) mechanism, strong service-processing capability, and excellent expansibility. The distributed QoS engine provides a packet buffer capability of 200 ms, which can solve the packet loss problem caused by burst traffic on the WAN network. The NE40E is based on a 400G platform and provides 100G line cards to satisfy the increased demand for bandwidth. NE40E has the ability to support virtualization; multiple devices can be virtualized into a single device. Compatible with all line cards currently in use, the NE40E minimizes investment needs. 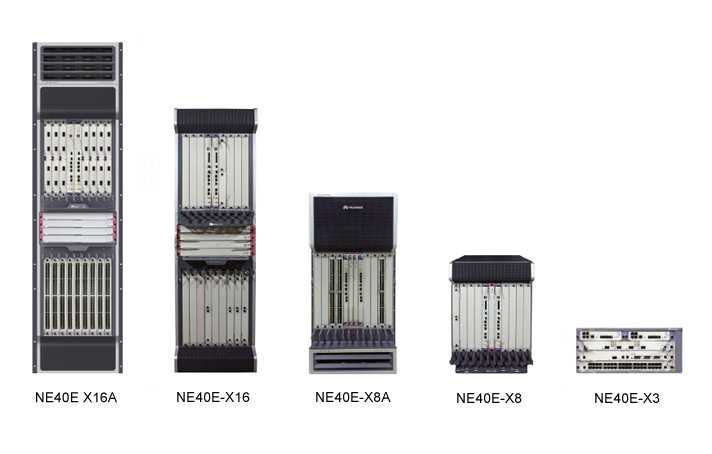 The NE40E series, including NE40E-X16, NE40E-X8 and NE40E-X3, are suitable for networks of different scales. can you please share typical configuration examples for NE40E-X3 for pppoe over vlan & ipoe configuration?